The title of this article is attractive but bit difficult to digest. We always seen especially on Youtube.com about flexible smartphones with transparent body and display with holographic images. In these conceptual smartphones we see some amazing and stunning features too like cell phone is thin like a paper but strong enough and sharp as knife, etc. But now it seems many of the parts this dreams come true, because on 1st February 2013 Nokia won a grant of 1.3 Billion USD from European Union FETs Program. Their aim is to develop products using graphene. Now the main thing is that why we are so exciting after hearing this news or why Graphene is so special. Let me tell you, as a Material Engineer I have studied Graphene deeply and here some stunning features of graphene which make it Smart material. "Graphene is the first material which is two dimensional, and this gives it a unique set of properties. And the first crystals of graphene were discovered in 2004. 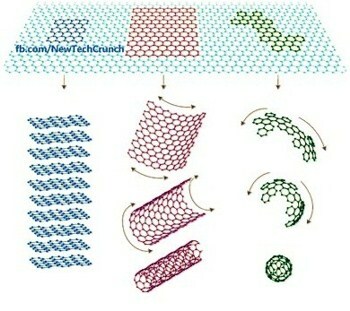 Now what thing makes Graphene a Super material is a combination of its unique properties. It is the thinnest object that ever obtained with thickness of single atom, it is lightest one, it is the strongest one, harder than diamond and 300 times stronger than steel. It can conduct electricity much better than copper, it is a transparent material.It is bendable and can take any form you want." There is a big demand of Such super materials in fields like aerospace, automotive, electronics, energy storage, communications, sensors, solar, oil and etc. Now Nokia is also equipped with material of future, and it seems they are ready to rule the Mobile Technology. But Don't forget that other big names like Apple and Samsung are already working on same technology since from few time. hey great post. I am waiting for this Amazing cellphone.